What makes a successful quality professional? A thorough understanding of the quality Body of Knowledge, STEM skills, persistence and leadership in the workplace, and—perhaps just as important—business skills. More and more I hear that quality professionals must speak the language of business to reach the upper chambers of management at their organization. Quality knowledge cannot and should not exist in a vacuum. Interest—and a certain anxiety—about business skills explain the popularity of this new Quality for Life video. 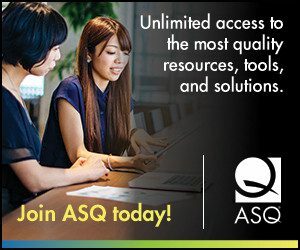 Quality for Life is an ASQ initiative that features ASQ members who “do good” using quality. Do you speak the “language of business”? How important is it, in your experience?